Meanwhile, Lologo's cousin Dillon has problems of his own. His mum and dad are separated. Tired of the constant parties and stream of strangers wandering through his home he takes to sleeping in parks. He is addicted to marijuana and will do anything to get money to buy it, including stealing from his own family. Dillon persuades Lologo to take some marijuana. When Dad finds marijuana in Lologo's bag, the conflict at home intensifies. 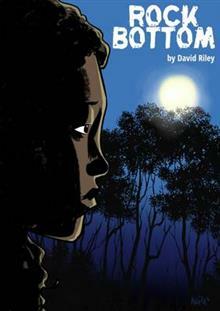 Rock Bottom was shortlisted in Playmarket's Plays for the Young Awards. David Riley is an award winning Kiwi children's author and high school Drama and English teacher. David writes books and reading resources for teachers, parents and young people. He's written two plays and eight books including Off Loading with Sonny Bill Williams which was longlisted in the 2015 LIANZA Children's Book Awards. In 2016, two of David's books, Jammin' with Steven Adams and Samoan Heroes, won Storylines Notable Books Awards.